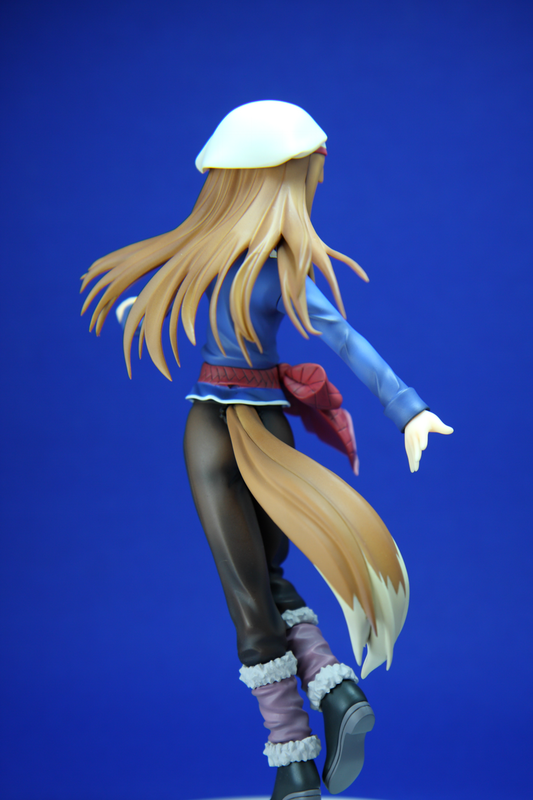 Cool and Spicy » Spice and Wolf’s Horo by Good Smile Co. 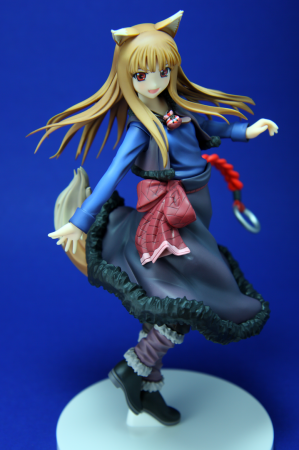 I present here the wise wolf deity, Horo, from the Spice & Wolf series. Horo is displayed in the clothes Lawrence purchased for her. We can’t have her running around naked forever, right? 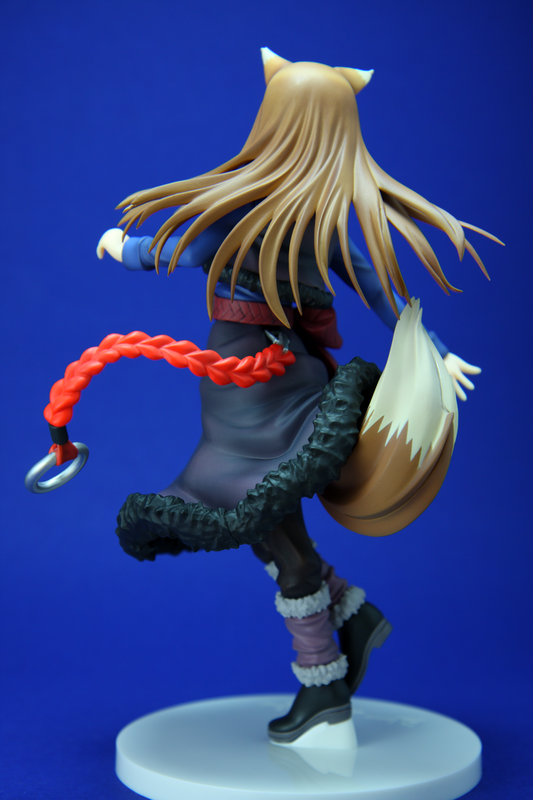 ^^; This includes the little rope “tail” which is removable. The build quality of this figure is pretty good, better than I expected (Good Smile quality, I suppose). Her outfit is nicely detailed with the folds in the cloth and the removable grain pouch around her neck. Her hair is also nicely detailed with it flowing down her back. Good Smile provided some customizability for Horo. On hot days, Horo can take off her vest and heavy skirt for a bit more freedom and comfort. 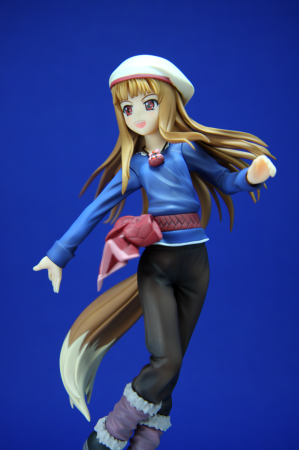 There is also a cute hat she can wear (after removing her ear pieces) and an alternate tail. 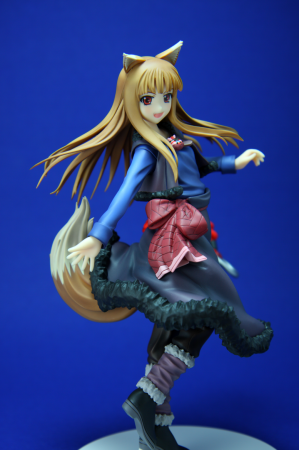 The Japanese name of the series is 狼と香辛料 (Ookami to Koushinryou, Wolf and Spice) but everyone calls it Spice and Wolf in English. In fact, it’s even printed as Spice and Wolf on the base of this figure. While Spice and Wolf wasn’t the most exciting series I’ve seen (more on the other side of the spectrum), it was interesting in its own ways. The discussion on actual economics was kind of interesting. I just wasn’t satisfied with the pace of the series overall. 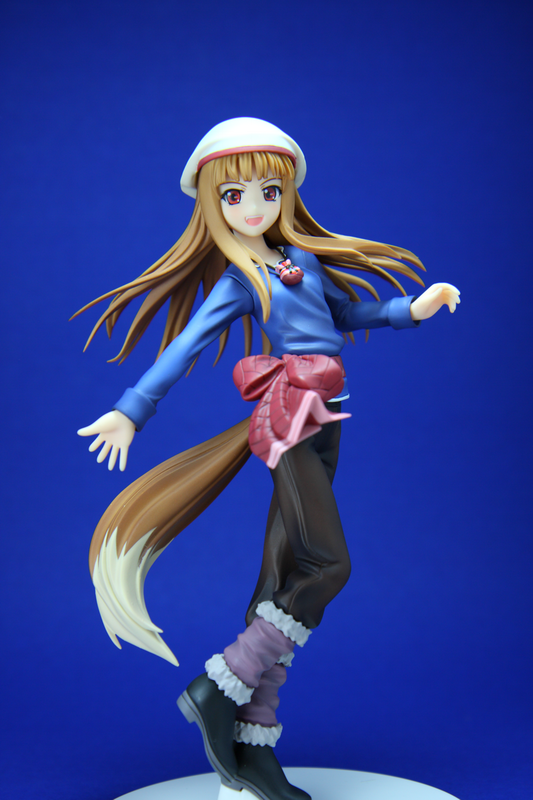 Horo was an appealing character though. Maybe I just have a thing for characters who are ancient godesses that transform into cute girls? I do like this figure a lot and am glad I picked it up. 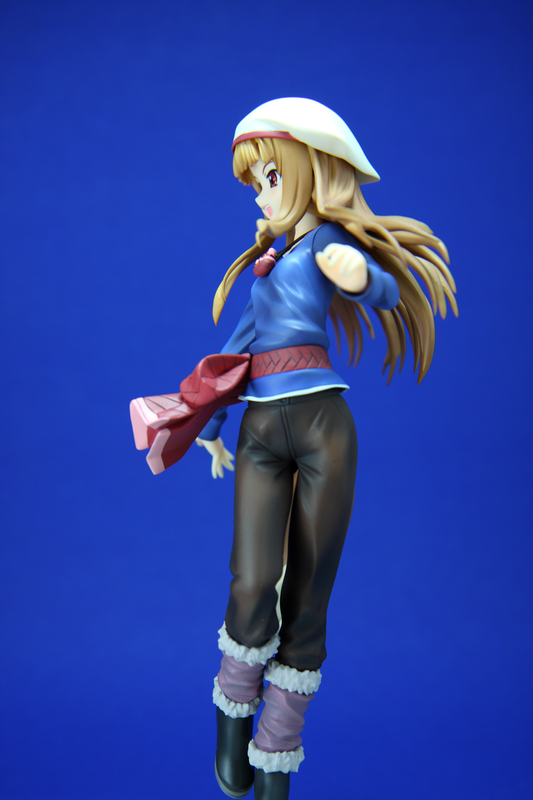 The optional accessories are a nice bonus so you can display her whichever way you like most. Good Smile Company has done a good job crafting this lovely goddess of harvest and makes a great addition to any collection. 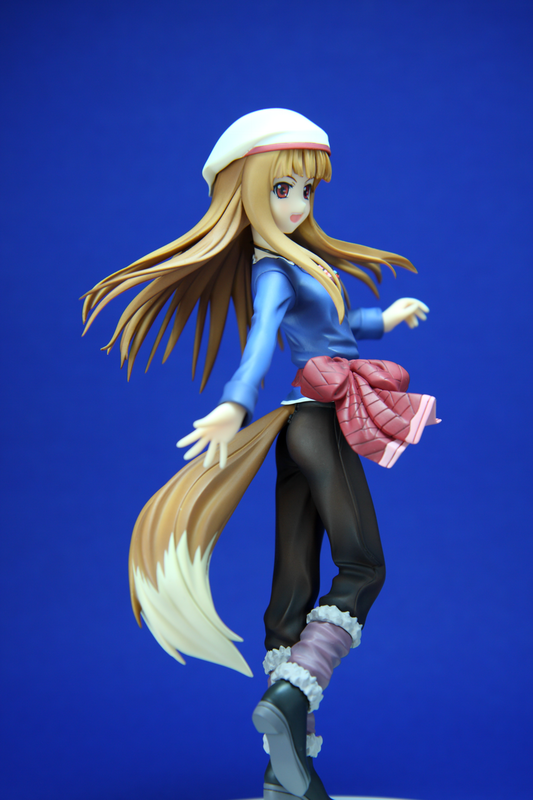 Unfortunately, she’s currently sold out at all the online stores I checked. Also, for Spice & Wolf fans out there, Spice & Wolf II will be airing this summer. More profit scheming with Horo and Lawrence, I’m sure ^^ Be sure to check it out! @Smithy, if one of the other Horo figures ur referring to is the Koto one then I disagree. I don’t find her facial expression a disaster as she is nicely scuplt and comes with a different base we don’t see often from other figures. Still, if I make a comparison between her and Koto one, off course GSC wins the overall medal for each quality. GSC had made the extra effort in designing her with her many adjustable parts. As based on the anime, many ppl have different likings in what style they wanna display her and I think GSC has made the effort to cater that. 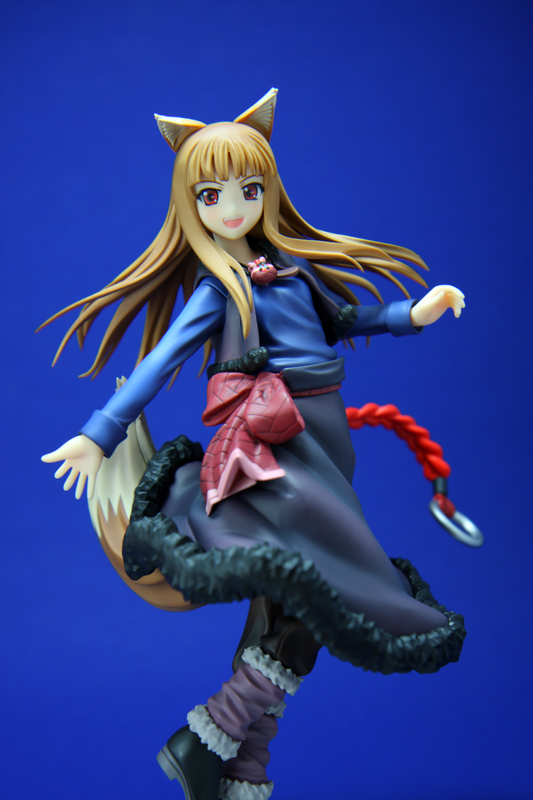 I actually like the Kotobukiya Horo as well. The light novel look is different but I also like it. I’m sure you’ll like this figure when you get it! Yeah, this is the most customizable PVC completed figure I’ve purchased so far. I really do like the alternate hat + pants look so I’m glad they gave owners the option to change the pieces. What colour are her trousers? Due to the lighting in the series I’m having a hard time deciding if there black, brown or grey? On the figure have they sprayed brown paint lightly over black? I have to say that figure is amazing though. I have kept my eye on ebay but nothing has appeared I can afford yet. Though its really nice to see it 360 degrees. Her trousers are a sort of brownish shade. Brown paint brushed over black I’d say.